View of Site 31 shortly before launch of Foton-M4 satellite on July 19, 2014. An interior view of the assembly building at Site 31 in Baikonur in July 2000. At the end of 1958, a year-and-half after the R-7 ballistic missile had began flying, the second launch complex for the same rocket was founded at Site 31, east of the original launch facilities in Tyuratam. Unlike the test launch complex at Site 1 and 2, the Site 31 facility was planned as an operational and training "battle station" for the R-7 missile. The new complex included the launch pad, the MIK assembly building, the MIK GCh building for the processing of the nuclear warhead, disel-powered energy generating facility and the new residential complex at Site 32. 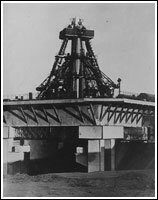 Based on experience gained during the construction at Site 1 and 2, the flame trench at Site 31 launch pad was scaled down in comparison to that of at Site 1. 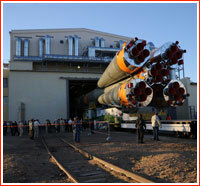 The assembly and support facilities were also placed much closer to the launch pad. The complex was completed at the end of 1960. On Feb. 27, 1961, the first R-7 ICBM lifted off from Site 31. As the R-7's role as a carrier of the nuclear weapons had diminished, Site 31 along with Site 1 was re-purposed for space operations, including manned launches. By the end of 1966, the fueling station designated 11G12 started operations providing fueling for manned spacecraft, satellites and planetary spacecraft. The original Soyuz 7K-OK spacecraft and the 7K-L1 circumlunar vehicles were prepared for launch at the processing building at Site 31. On Jan. 14, 1969, Soyuz-4 was launched from Site 31, followed by Soyuz-6 on October 11, Soyuz 8 on October 13 and Soyuz-9 on June 1, 1970. 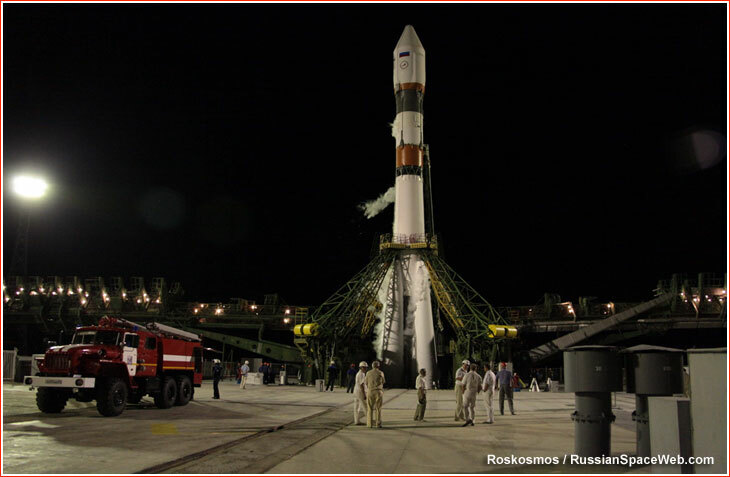 Another wave of manned launches started in 1980 with the launch of Soyuz-36 on May 26 and Soyuz-39 on March 22, 1981. Yet another group of manned launches came in the wake of the 1983 launch failure, which damaged a primary manned launch pad at Site 1. Soyuz T-10 was launched from here on Feb. 8, 1984, followed by Soyuz T-11 on April 3 and Soyuz T-12 on July 17, 1984. 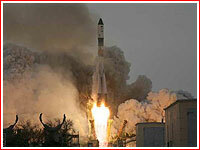 As of 2006, out of 100 Russian manned launches, a total of 12 lifted off from Site 31, according to Roskosmos. 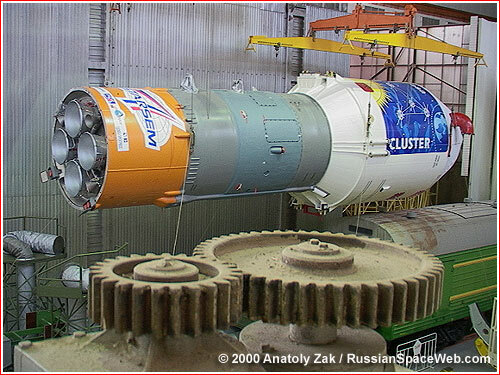 According to the Russian press, during 2005, the launch complex and the processing facilities at Site 31 was being refurbished for the Soyuz-2 rocket. In 2009, to support the anticipated increase of the International Space Station crew from three to six, Russia had to double manned launches from two to four annually. The number of Progress cargo supply missions was to increase as well. As a result, various upgrades were conducted at Site 31 during 2007 and 2008, to enable manned launches from both Site 1 and Site 31, Kazakhstan Today reported, quoting Baikonur officials. Upgrades covered the fueling system and the flight control bunker. Also, a new air-conditioning system for the payload section of the rocket, a clean room and communications cables were installed. At the time, the first launch of the Progress spacecraft from Site 31 was expected in 2008 and the first manned Soyuz (since 1984) would blast off from the same pad in 2009. In reality, the first cargo ship, Progress M-66, lifted off from Site 31 on Feb. 10, 2009. Progress M-07M and Progress M-15M were also launched from the same pad on Sept. 10, 2010, and April 20, 2012, respectively. 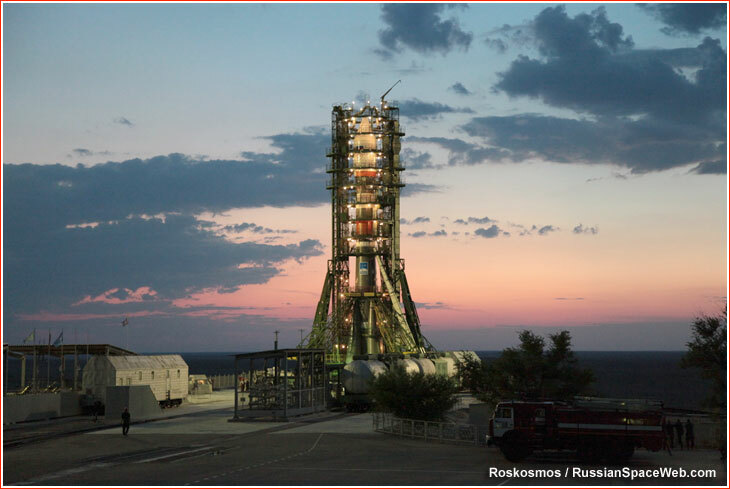 In April 2011, the head of Roskosmos, Anatoly Perminov, said that Site 31 would be ready for manned launches by the end of that year. 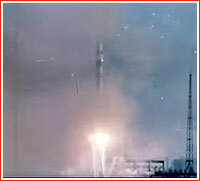 Manned launches did resume from Site 31 on October 23, 2012, when Soyuz TMA-06M lifted off. Moving both -- manned and cargo launches -- to Site 31 would enable Roskosmos to start planned refurbishment of the launch pad at Site 1, which apparently was planned to start around 2014. 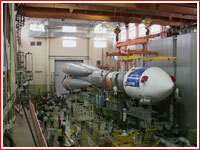 During 2009, a processing building at Site 31 -- MIK 40 -- was upgraded with a new work place for handling the Fregat-SB upper stage, which would be used with the Zenit-3M (Zenit-2SLB) rocket. Soyuz-4 lifts off from Site 31 on Jan. 14, 1969.